Are you a British Expat living abroad? Are you thinking of returning to the UK? Leaving the UK to live and work abroad could be the best decision you have ever made and you never want to come back to Blighty. However, being away from home, family and friends and in a new culture isn’t necessarily for everyone. 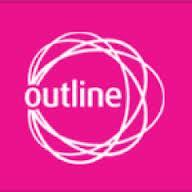 If you are considering moving back to the UK, for whatever reason, Outline Productions would like to hear from you! Award-winning Outline Productions are developing an exciting new documentary series about expat life – and are looking for Brits living abroad, who are considering coming home and open to sharing their views and experiences with us.